Bow and arrow hunting (or archery) is a technology first developed by early modern humans in Africa, perhaps as long as 71,000 years ago. Archaeological evidence shows that the technology was certainly used by humans during the Howiesons Poort phase of Middle Stone Age Africa, between 37,000 and 65,000 years ago; recent evidence at South Africa's Pinnacle Point cave tentatively pushes the initial use back to 71,000 years ago. However, there is no evidence that the bow and arrow technology was used by people who migrated out of Africa until the Late Upper Paleolithic or Terminal Pleistocene, at most 15,000-20,000 years ago. The oldest surviving organic elements of bows and arrows only date to the Early Holocene of about 11,000 years ago. Europe and Western Asia: Late Upper Paleolithic, although there are no UP rock art paintings of archers and the oldest arrow shafts date to the Early Holocene, 10,500 BP; the earliest bows in Europe are from the bog site of Stellmor in Germany, where 11,000 years ago someone lost a pine arrow shaft with nocks in the end. Based on modern-day San Bushmen bow-and-arrow manufacture, existing bows and arrows curated in South African museums as well as archaeological evidence for Sibudu Cave, Klasies River Cave, and Umhlatuzana Rockshelter in South Africa, Lombard and Haidle (2012) operationalized the basic process of making a bow and arrows. To make a bow and a set of arrows, the archer needs stone tools (scrapers, axes, woodworking adzes, hammerstones, tools for straightening and smoothing wooden shafts, flint for making fire), a container (ostrich eggshell in South Africa) for carrying water, ochre mixed with resin, pitch, or tree gum for adhesives, fire for blending and setting the adhesives, tree saplings, hardwood and reeds for the bow stave and arrow shafts, and animal sinew and plant fiber for binding material. The technology for making a bow stave is close to that of making a wooden spear (first made by Homo heidelbergensis more than 300,000 years ago); but the differences are that instead of straightening a wooden lance, the archer needs to bend the bow stave, string the bow, and treat the stave with adhesives and fat to prevent splitting and cracking. How Does it Compare to Other Hunting Technologies? From a modern standpoint, the bow and arrow technology is definitely a leap forward from lance and atlatl (spear thrower) technology. Lance technology involves a long spear which is used to thrust at prey. An atlatl is a separate piece of bone, wood or ivory, that acts as a lever to increase the power and speed of a throw: arguably, a leather strap attached to the end of a lance spear might be a technology between the two. But bow and arrow technology has a number of technological advantages over lances and atlatls. Arrows are longer-range weapons, and the archer needs less space. To fire off an atlatl successfully, the hunter needs to stand in big open spaces and be highly visible to his/her prey; arrow hunters can hide behind bushes and shoot from a kneeling position. Atlatls and spears are limited in their repeatability: a hunter can carry one spear and maybe as many as three darts for an atlatl, but a quiver of arrows can include a dozen or more shots. Archaeological and ethnographic evidence suggests that these technologies were rarely mutually exclusive—groups combined spears and atlatls and bows and arrows with nets, harpoons, deadfall traps, mass-kill kites and buffalo jumps, and many other strategies as well. People vary their hunting strategies based on the prey being sought, whether it is big and dangerous or wily and elusive or marine, terrestrial or airborne in nature. The adoption of new technologies can profoundly affect the way a society is constructed or behaves. Perhaps the most important difference is that lance and atlatl hunting are group events, collaborative processes that are successful only if they include a number of family and clan members. In contrast, bow and arrow hunting can be achieved with just one or two individuals. Groups hunt for the group; individuals for the individual families. That is a profound social change, affecting almost every aspect of life including who you marry, how big is your group, and how status is conveyed. One issue that might also have affected the adoption of the technology may be that bow and arrow hunting simply has a longer training period than atlatl hunting. Brigid Grund (2017) examined records from modern competitions for atlatl (Atlatl Association International Standard Accuracy Contest) and archery (Society for Creative Anachronism InterKingdom Archery Competition). She discovered an individual's atlatl scores increase steadily, showing improvement in skill within the first few years. Bow hunters, however, do not begin to approach maximum skill until the fourth or fifth year of competition. There is much to be understood in the processes of how technology changed and indeed which technology came first. 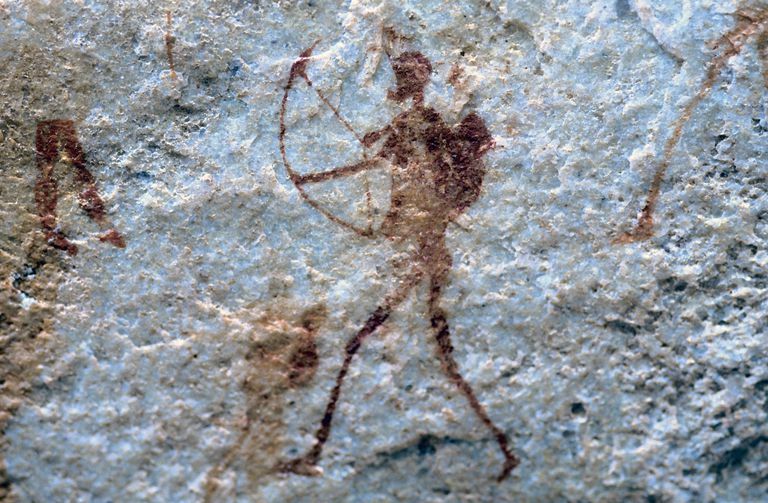 The earliest atlatl we have dates to the Upper Paleolithic, only 20,000 years ago: the South African evidence is quite clear that bow and arrow hunting is much older still. But archaeological evidence being what it is, we still don't really know the complete answer about the dates of hunting technologies and we may never have a better definition of when the inventions occurred than "at least as early as". People adapt to technologies for reasons other than just because something is new or "shiny". Every new technology is characterized by its own costs and benefits for the task at hand. Archaeologist Michael B. Schiffer referred to this as "application space": that the level of adoption of a new technology depends on the number and variety of tasks that it could be used on, and which it is best suited to. Old technologies are rarely completely obsoleted, and the transition period can be very long indeed. Angelbeck B, and Cameron I. 2014. The Faustian bargain of technological change: Evaluating the socioeconomic effects of the bow and arrow transition in the Coast Salish past. Journal of Anthropological Archaeology 36:93-109. Bradfield J. 2012. Macrofractures on bone-tipped arrows: analysis of hunter-gatherer arrows in the Fourie collection from Namibia. Antiquity 86(334):1179-1191. Brown KS, Marean CW, Jacobs Z, Schoville BJ, Oestmo S, Fisher EC, Bernatchez J, Karkanas P, and Matthews T. 2012. An early and enduring advanced technology originating 71,000 years ago in South Africa. Nature 491(7425):590-593. Callanan M. 2013. Melting snow patches reveal Neolithic archery. Antiquity 87(337):728-745. Coolidge FL, Haidle MN, Lombard M, and Wynn T. 2016. Bridging theory and bow hunting: human cognitive evolution and archaeology. Antiquity 90(349):219-228. Erlandson J, Watts J, and Jew N. 2014. Darts, Arrows, and Archaeologists: Distinguishing Dart and Arrow Points in the Archaeological Record. American Antiquity 79(1):162-169. Grund BS. 2017. Behavioral Ecology, Technology, and the Organization of Labor: How a Shift from Spear Thrower to Self Bow Exacerbates Social Disparities. American Anthropologist 119(1):104-119. Kennett DJ, Lambert PM, Johnson JR, and Culleton BJ. 2013. Sociopolitical Effects of Bow and Arrow Technology in Prehistoric Coastal California. 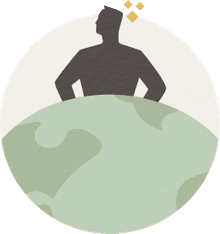 Evolutionary Anthropology: Issues, News, and Reviews 22(3):124-132. Lombard M, and Haidle MN. 2012. Thinking a Bow-and-arrow Set: Cognitive Implications of Middle Stone Age Bow and Stone-tipped Arrow Technology. Cambridge Archaeological Journal 22(02):237-264. Lombard M, and Phillipson L. 2010. Indications of bow and stone-tipped arrow use 64,000 years ago in KwaZulu-Natal, South Africa. Antiquity 84(325):635–648. Whittaker JC. 2016. Levers, Not Springs: How a Spearthrower Works and Why It Matters. In: Iovita R, and Sano K, editors. Multidisciplinary Approaches to the Study of Stone Age Weaponry. Dordrecht: Springer Netherlands. p 65-74.